Airbnb has faced regulatory obstacles for years now. In the past, several state agencies had called on the company to make the names of hosts available. And back in May, the city of Santa Monica cracked down on the business by making it illegal for residents to rent a home for less than 30 days. The new law ran afoul of local Airbnb host Scott Shatford, who made thousands of dollars every month by renting out his rental properties. The city ended up fining him, and Shatford relinquished $3,500 and said he was moving away to greener pastures in Denver. Now, due to similar circumstances, New York lawmakers may be looking to pass a new bill that would impose penalties of up to $7,500 on consumers who violate a previous state law that forbids rentals of less than 30 days if the owner or tenant of a property isn’t present. Proponents applaud the measure, saying that Airbnb hurts hotels and takes apartments off the long-term rental market because it is more profitable for owners to rent them at a nightly rate. “These illegal rentals are not just breaking the law, they are breaking the back of already dangerously thin affordable housing supply,” stated New York Councilmember Corey Johnson. The majority of Airbnb rentals are listed in New York City, but the measure would also cover other areas of New York as well. Currently, the bill is awaiting approval from Governor Andrew Cuomo, who has until October 29 to either sign or veto it. If he takes no action, the measure will become law anyway. Assemblywoman Linda Rosenthal, who sponsored the bill, says that it is necessary for New York to stop property owners from using their apartment buildings like hotels. 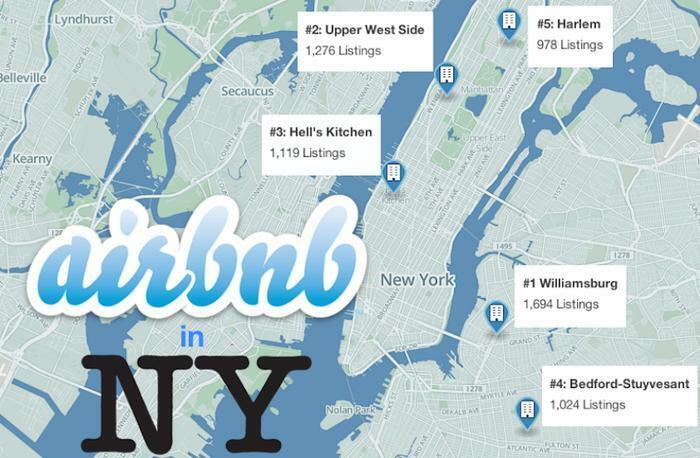 A previous investigation by the state attorney general’s office found that 72% of Airbnb rentals in New York City between 2010 and 2014 were illegal. However, Airbnb has voiced its concern and said that regulations that stop property owners from exploiting the system would be more appropriate, stating further that the proposed bill would just be taking money out of the pockets of New Yorkers. “It’s baffling to us in this time of economic inequality that folks would be looking to impose fines of as much as $7,500 on a middle-class person looking to use the home that they live in to help make ends meet,” said Chris Lehane, Airbnb’s head of global policy.